During March, I finished reading six books. That seems to be becoming an average for me, eh? 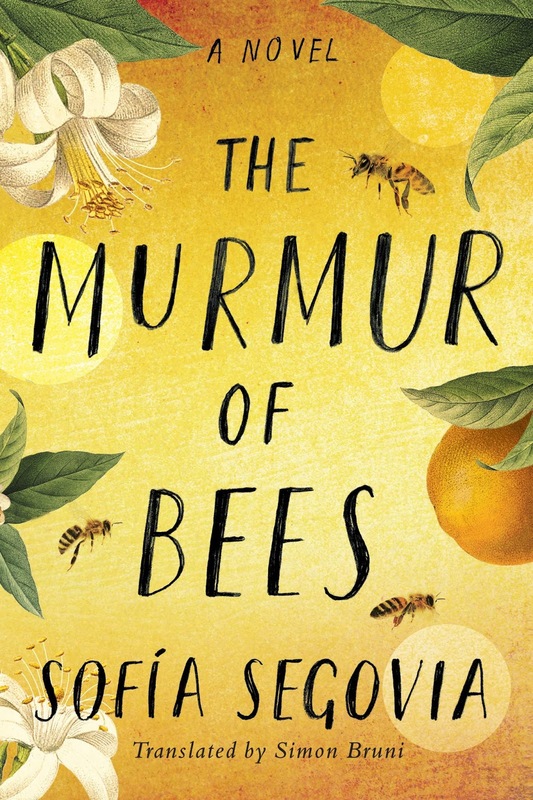 I read The Murmur of Bees to review at Books I Think You Should Read. I thought it was a little long and wordy, but I wonder if it may be better in the original Spanish version? I gave it 3 out of 5 stars. You can get The Murmur of Bees, All This I Will Give To You, and seven other international books free for your Kindle by visiting this link. Yay for free books! Anyway, on to the official synopsis for The Murmur of Bees. "From the day that old Nana Reja found a baby abandoned under a bridge, the life of a small Mexican town forever changed. Disfigured and covered in a blanket of bees, little Simonopio is for some locals the stuff of superstition, a child kissed by the devil. But he is welcomed by landowners Francisco and Beatriz Morales, who adopt him and care for him as if he were their own. As he grows up, Simonopio becomes a cause for wonder to the Morales family, because when the uncannily gifted child closes his eyes, he can see what no one else can—visions of all that’s yet to come, both beautiful and dangerous. Followed by his protective swarm of bees and living to deliver his adoptive family from threats—both human and those of nature—Simonopio’s purpose in Linares will, in time, be divined. Set against the backdrop of the Mexican Revolution and the devastating influenza of 1918, The Murmur of Bees captures both the fate of a country in flux and the destiny of one family that has put their love, faith, and future in the unbelievable." Ready Player One had been on my library Kindle waiting list for a while. I saw the movie some time in the last year, and I love books and their movie tie-ins. Unfortunatly, I saw it so long ago that I can't remember any striking differences. So I'm saying I liked both the book and the movie. I give the book 3.5 out of 5 stars. "In the year 2045, reality is an ugly place. The only time teenage Wade Watts really feels alive is when he's jacked into the virtual utopia known as the OASIS. Wade's devoted his life to studying the puzzles hidden within this world's digital confines—puzzles that are based on their creator's obsession with the pop culture of decades past and that promise massive power and fortune to whoever can unlock them. But when Wade stumbles upon the first clue, he finds himself beset by players willing to kill to take this ultimate prize. The race is on, and if Wade's going to survive, he'll have to win—and confront the real world he's always been so desperate to escape." Yet another library waitlist book/movie. As far as I remember, the book and movie were different in tone on this one. The movie had such great costumes and characters to see, while the book had some amusing asides from the author about growing up with the very people and places that inspired the book. The book or the movie could stand alone well, and I enjoyed them both. I may even get to read further books in the series. I'd give this one 3.5 out of 5 stars. 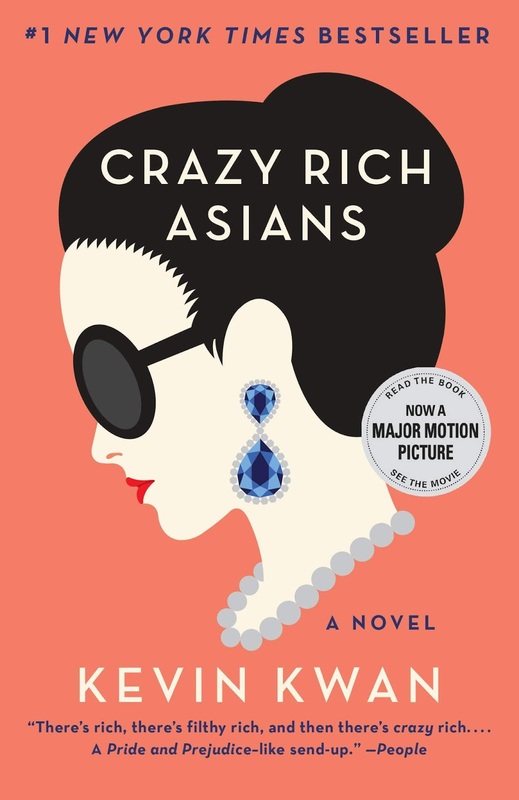 "When New Yorker Rachel Chu agrees to spend the summer in Singapore with her boyfriend, Nicholas Young, she envisions a humble family home and quality time with the man she hopes to marry. But Nick has failed to give his girlfriend a few key details. One, that his childhood home looks like a palace; two, that he grew up riding in more private planes than cars; and three, that he just happens to be the country’s most eligible bachelor. On Nick’s arm, Rachel may as well have a target on her back the second she steps off the plane, and soon, her relaxed vacation turns into an obstacle course of old money, new money, nosy relatives, and scheming social climbers." Deborah Harkness originally wrote the All Souls Trilogy, but then this one came out as a fourth in the series. Which can no longer be called a trilogy, right? The first three were wonderful and imaginative. I don't know if I just lost interest in the gap before the fourth book, but it was definitely a slower read, and a big book. I'd give it 3 starts out of 5. 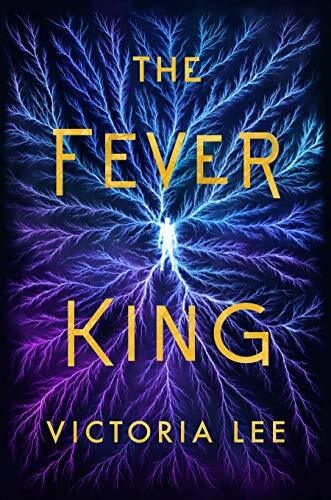 "On the battlefields of the American Revolution, Matthew de Clermont meets Marcus MacNeil, a young surgeon from Massachusetts, during a moment of political awakening when it seems that the world is on the brink of a brighter future. When Matthew offers him a chance at immortality and a new life free from the restraints of his puritanical upbringing, Marcus seizes the opportunity to become a vampire. But his transformation is not an easy one and the ancient traditions and responsibilities of the de Clermont family clash with Marcus's deeply held beliefs in liberty, equality, and brotherhood. 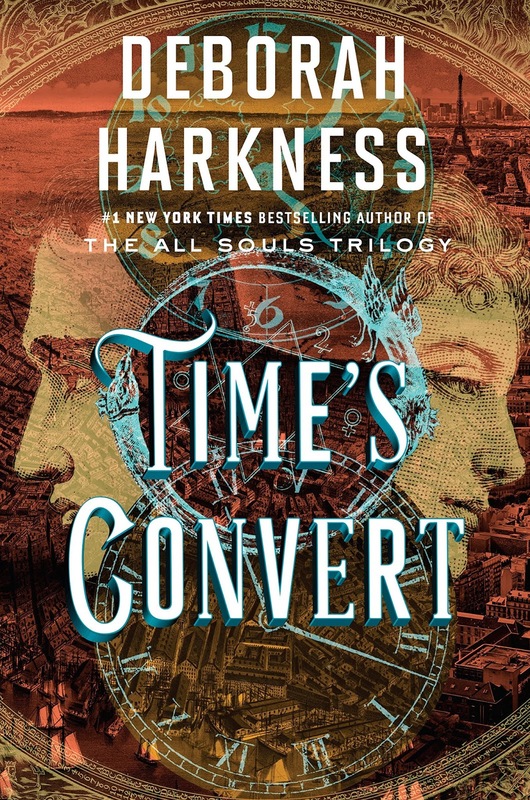 A passionate love story and a fascinating exploration of the power of tradition and the possibilities not just for change but for revolution, Time's Convert channels the supernatural world-building and slow-burning romance that made the All Souls Trilogy instant bestsellers to illuminate a new and vital moment in history, and a love affair that will bridge centuries." This book came recommended from several people who have read it in the last year. I waited my turn through the library's online lending and finally got to read it on my Kindle. The story was based on a true story, so I feel really heartless for not really enjoying it. It just felt more optimistic than I expected, given the subject matter. I later read that the author really wanted to present it as a screenplay, which may make a little more sense. When you're writing about the actual activities, and not accessing the expected dispair... I don't know. It just didn't ring true for me, like it was presented more cheerfully than would be realistic. I'd give it 2.5 out of 5 stars, but I'll still see the movie, if she gets that done. 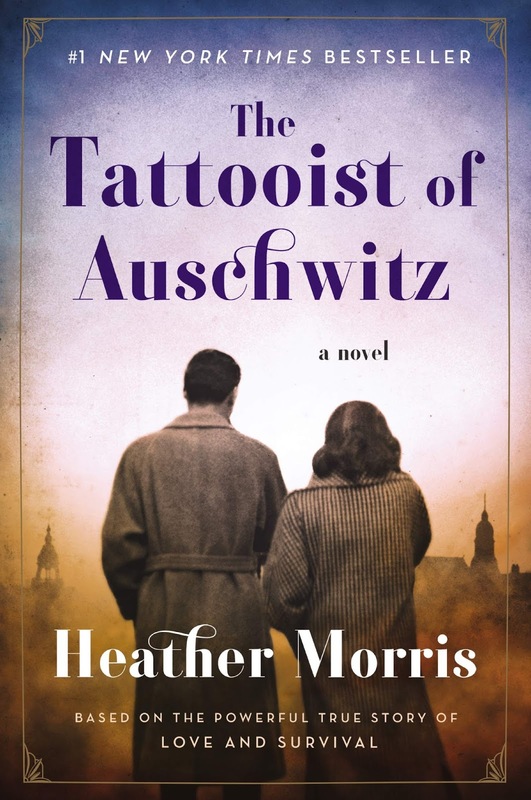 A vivid, harrowing, and ultimately hopeful re-creation of Lale Sokolov's experiences as the man who tattooed the arms of thousands of prisoners with what would become one of the most potent symbols of the Holocaust, The Tattooist of Auschwitz is also a testament to the endurance of love and humanity under the darkest possible conditions." 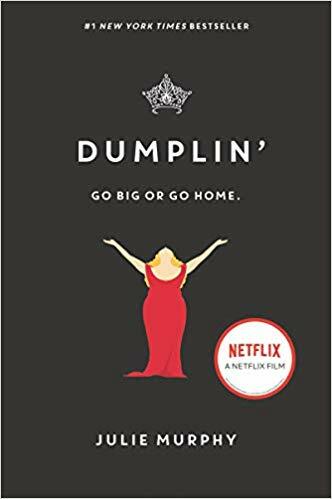 I first watched the Netflix movie, Dumplin', before I realized it was based on a book. But you know me, I headed over to reserve the book once I found out. I think the movie was wonderfully done and kept the spirit of the book. I enjoyed both, and I look forward to reading the next book, Puddin', based on another character in the story. I'd give Dumplin' 3.5 out of 5 stars. "Self-proclaimed fat girl Willowdean Dickson (dubbed “Dumplin’” by her former beauty queen mom) has always been at home in her own skin. Her thoughts on having the ultimate bikini body? Put a bikini on your body. With her all-American beauty best friend, Ellen, by her side, things have always worked . . . until Will takes a job at Harpy’s, the local fast-food joint. There she meets Private School Bo, a hot former jock. Will isn’t surprised to find herself attracted to Bo. But she is surprised when he seems to like her back. Instead of finding new heights of self-assurance in her relationship with Bo, Will starts to doubt herself. So she sets out to take back her confidence by doing the most horrifying thing she can imagine: entering the Miss Clover City beauty pageant—along with several other unlikely candidates—to show the world that she deserves to be up there as much as any girl does. Along the way, she’ll shock the hell out of Clover City—and maybe herself most of all." We have SO much going on this spring. I think I mentioned - hubby and our daughter spent the spring break week (two weeks ago here) in China visiting hubby's brother's family. 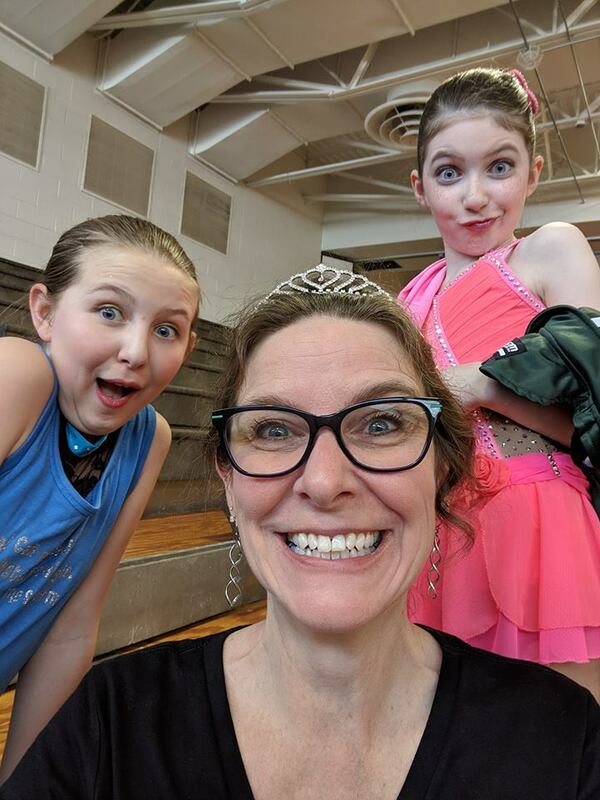 Last weekend, I went with our daughter to a baton competition in New Jersey. She got six trophies and a sash. 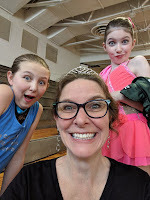 Most importantly, she had a lot of fun and performed beautifully, and I got a tiara!! At this particular competition, they have a 'mom march,' where moms compete in a basic box march competition. The girls taught be beforehand, and yes, I practiced. This was our third (or fourth?) year attending this competition. We still don't have consistent spring weather, and I am disappointed. Yesterday was like 60 degrees (and rainy), but today is in the 40s again. Ugh. I have got to get the books I read in March posted up this week. I finished six books in March. I really undershot for my 2019 goal. LOL I will have met that goal (43 books, I think?) before the year is half done. One great part of having a job with the schools is looking forward to the summer off. So now I'm starting to hoard away money so we can still do fun things in the summer, but I'm really, really looking forward to sleeping in more often than not. I do love my sleep. I actually finished two books last night, so today feels like an especially new day. I've started another hard-copy book, and downloaded my next Kindle read. See, I tend to do both, because I can read and carry the 'real' book for daytime, and when I have a few minutes waiting for an appointment or whatever. I don't have a good case for my Kindle yet, so I leave that at home and read from it in the dark, in bed. It works for me! Perfectly Posh just released their spring supplement goodies this week. If you like pampering, with lotions, face masks, scrubs and the like, you should check it out! Sheec No-Show Socks & Tieks/Rothys GIVEAWAY!! My wonderful Tieks, without socks. 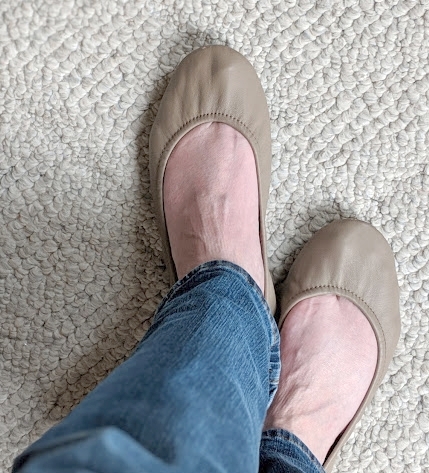 Just last year, I got my first pair of Tieks ballet flats. I love them, and they're super comfortable! But they're also the most expensive shoes I've ever bought, and I usually wear them without socks, because, ballet flats. But I worry that they'll get stinky and stained way too fast with my naked feet crammed in them on a regular basis. Sheecs No-Show Socks has the solution for me - they make these Ultra Low-Cut Liner Socks that won't show, even in my Tieks! I'm planning to get a pair soon, so I can extend the life and fresh leather smell of my favorite spring shoes. I got these great details straight from the giveaway - you can enter here (https://wn.nr/pMRr4B). So, this is it. Friday night of spring break. Fun is done, and I'm trying to make the house look like I spent some time trying to spruce things up while hubby and daughter were on their spring break trip. Yeah - hubby and daughter are now on their way back from China. They're at the airport in Wuhan now. They'll fly from Wuhan to Shanghai, and then to Chicago. That just means they're back in the U.S. After a four-hour or so layover in Chicago, they come back to Detroit and we pick them up at the airport tomorrow evening. So this evening, while we have dinner and I clean some more, and tonight while we sleep, and tomorrow while we pick up a few groceries, get gas, and clean a bit more, they travel. Ugh. In between cleaning, I've started two new books this week (after finishing one that is going on my 'best books ever' list). I read a total of six books in March. Mostly requests from the library, this time. What's the best book you've read lately that I should add to my list? My teeth are starting to get fuzzy. LOL Today was declared PJ day by the seven-year-old. I started out strong, but then put clothes on when a friend was stopping by about our plans for next weekend. But I still didn't do any more personal grooming than removing my raccoon eyes. I feel like I should blog more, but I also feel like I've lost so much by speaking my mind. It's hard to want to talk, but be afraid to talk. The rest of this month is CRAZY busy, and poor Maggie starts the roller coaster with jet lag. Next weekend she and I go to New Jersey for baton competition. The weekend after that is Easter, and I have surprise tickets to a show for the two of us. The weekend after that I won tickets for all four of us to go to Daniel Tigers' Neighborhood live show at the Fox Theater. I love seeing anything at the Fox Theater. The weekend after that is the high school musical - The Addams Family. Can't wait for all of it! Have you tried the new Coke flavors? I usually drink Cherry Coke anyway, but I tried the Orange Vanilla Coke yesterday. Meh. Too orange-y for me. And I usually like orange flavored stuff. I'll stick with my old standby. 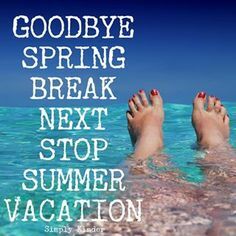 I'm so ready for warmer weather! We've had a few nicer days, but no real spring yet. Heck, we had snow at the beginning of the week. That is so not acceptable for me! They're already dragging out a forecast that calls for snow April 15. Nope - hard pass. Jack and I kicked off spring break adventures with a movie on the big screen. We hadn't been to the nice Emagine theater together yet (I'd been with Maggie, and he'd been with hubs...) so we got the adorably cozy love seat, some popcorn and candy, and hunkered down to enjoy the show. He's been wanting to see Wonder Park since it opened in mid-March, and luckily nothing has come out since that he wanted to see more. I hadn't seen much publicity, so I wasn't sure what we were in for. Wonder Park was a really enjoyable film. I didn't really have much in the way of expectations, but this movie about the power of imagination was beautifully done. Jack's favorite part was the expression of one of the evil chimpan-zombies as it watched June (our heroine) as he cut the last piece of glass holding her up in the air. He also loved the matter-of-factness of the porcupine character named Steve. Yeah - the excerpts of a seven-year-old can be a little tricky to explain. Overall, I'd give this one 3.5 or 4 stars out of 5. I wasn't overly thrilled with part of the trite ending, but I don't want to give it away. I think you should make the time to watch or rent this one and watch it for a couple hours of happy distraction. I finished six books in February, but March has seriously gotten away from me in blogging and everything else. See, March started on a Friday, and on March 3rd, before we even started on the first full week of March, my seven-year-old broke his leg while skiing. So things have been pretty sideways since then - I sit at home most days (luckily my long-term substitute lunch job ended) and wait for the call that now comes about half the time. My little guy toughs out half the day or so, but then he's ready to come home. Or he makes it all day, but the parking is SO bad at school that I have to go early to pick him up, since he can't 'run' out to the car. Anyway, back to this post that I'm finally getting around to writing. Check out the six books I read in February, along with their official summary, and maybe a few words from me about it too. Enjoy! Oh my, what a magical book! I have to say this is now probably on my short list of best books ever. I've already loaned it out, but it's one of only two books I received to review that I've asked to get back after sharing it. The characters are completely enchanting, and the story is one I never would have dreamed of. I loved it! Check out my full review at Books I Think You Should Read. I gave this one 4.5 out of 5 stars. "After the loss of her mother and her own battle with breast cancer, Joanna Teale returns to her graduate research on nesting birds in rural Illinois, determined to prove that her recent hardships have not broken her. 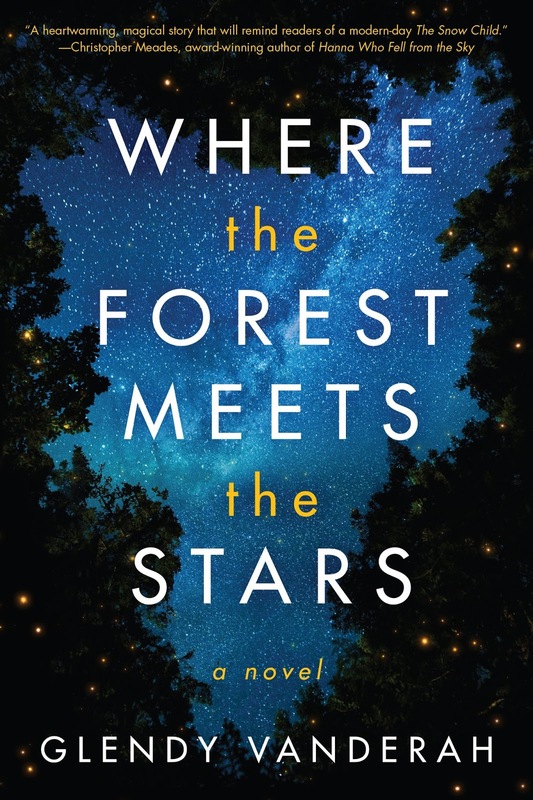 She throws herself into her work from dusk to dawn, until her solitary routine is disrupted by the appearance of a mysterious child who shows up at her cabin barefoot and covered in bruises. Though the three have formed an incredible bond, they know difficult choices must be made. As the summer nears an end and Ursa gets closer to her fifth miracle, her dangerous past closes in. When it finally catches up to them, all of their painful secrets will be forced into the open, and their fates will be left to the stars." I first saw this book at Target, and knew I had to read it. I was able to borrow it from the local library on my Kindle after not too long of a wait. It was everything I expected - a quite amusing book. I would make a point to read any other books that come out since it is listed as 'Obama Biden Mysteries #1.' I'd give this one 4 out of 5 stars. "Vice President Joe Biden is fresh out of the Obama White House and feeling adrift when his favorite railroad conductor dies in a suspicious accident, leaving behind an ailing wife and a trail of clues. To unravel the mystery, “Amtrak Joe” re-teams with the only man he’s ever fully trusted—the 44th president of the United States. Together they’ll plumb the darkest corners of Delaware, traveling from cheap motels to biker bars and beyond, as they uncover the sinister forces advancing America’s opioid epidemic. 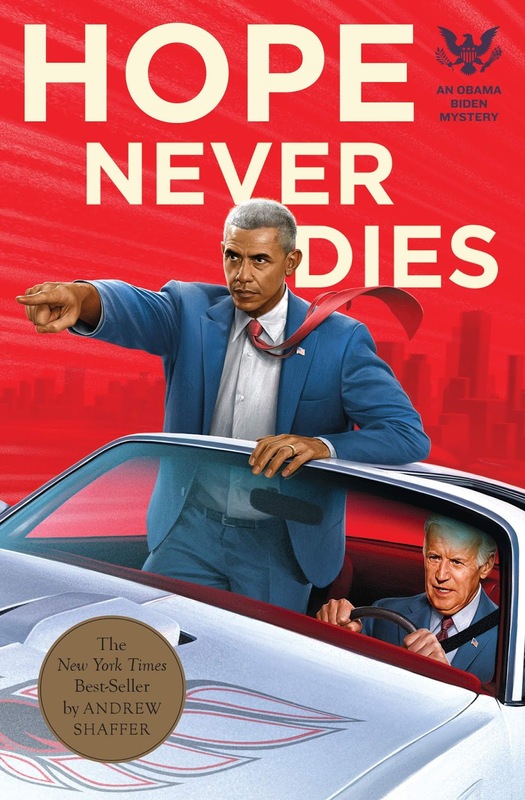 Part noir thriller and part bromance novel, Hope Never Dies is essentially the first published work of Obama/Biden fanfiction—and a cathartic read for anyone distressed by the current state of affairs." 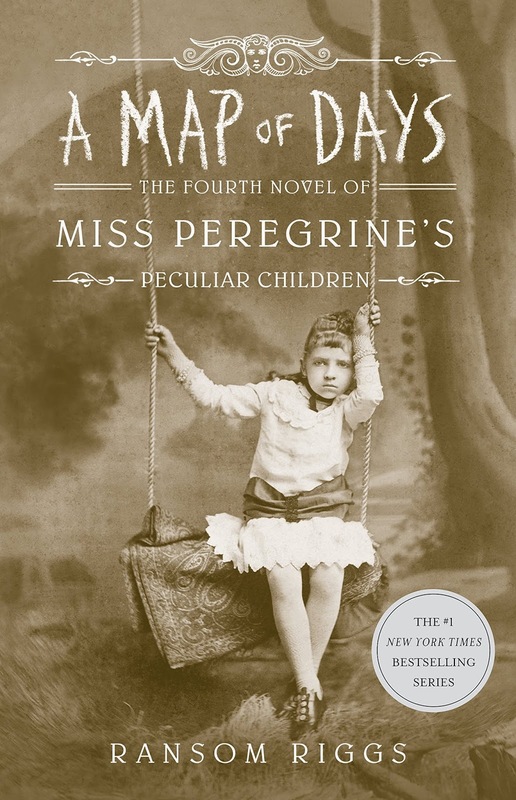 I'm a big fan of the Miss Peregrine's peculiar children books. I initially thought it was a trilogy, but this was the fourth book. I loved it just like the others I've read. I'd give this book 4 out of 5 stars. "Having defeated the monstrous threat that nearly destroyed the peculiar world, Jacob Portman is back where his story began, in Florida. Except now Miss Peregrine, Emma, and their peculiar friends are with him, and doing their best to blend in. But carefree days of beach visits and normalling lessons are soon interrupted by a discovery—a subterranean bunker that belonged to Jacob’s grandfather, Abe. Now, the stakes are higher than ever as Jacob and his friends are thrust into the untamed landscape of American peculiardom—a world with few ymbrynes, or rules—that none of them understand. New wonders, and dangers, await in this brilliant next chapter for Miss Peregrine’s peculiar children. Their story is again illustrated throughout by haunting vintage photographs, but with a striking addition for this all-new, multi-era American adventure—full color." This was another book I received to review. I love dystopian fiction, and this one definitely fit the bill. This reminded me a lot of The Darkest Minds - a book turned into a movie that my daughter asked me to watch with her a few weeks ago. People were afflicted with a virus which either killed them, or endowed them with special gifts. The lists all say it's 'Feverwake #1,' so apparently there are more to come in this new series. Check out my full review on Books I Think You Should Read and see why I gave it 4 out of 5 stars. 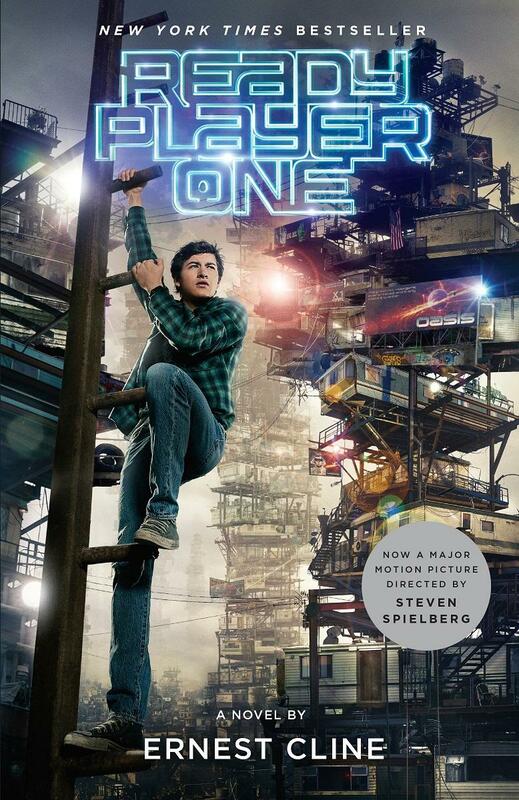 "In the former United States, sixteen-year-old Noam Álvaro wakes up in a hospital bed, the sole survivor of the viral magic that killed his family and made him a technopath. His ability to control technology attracts the attention of the minister of defense and thrusts him into the magical elite of the nation of Carolinia. Caught between his purpose and his heart, Noam must decide who he can trust and how far he’s willing to go in pursuit of the greater good." As I've said before, I enjoy many dystopian or speculative fiction books. While I frequently read more than one book at a time, I was careful to read this one after I'd completely finished the one before it - I didn't want to tangle all the future speculations in my mind. LOL In "Vox," women are only allowed 100 words per day. Without being able to to communicate with really anyone else completely, the main character feels more helpless and isolated than she could ever have imagined. And her feelings are even more magnified when she tries to think what her daughter's future holds. I'd give this one 3.5 out of 5 stars. 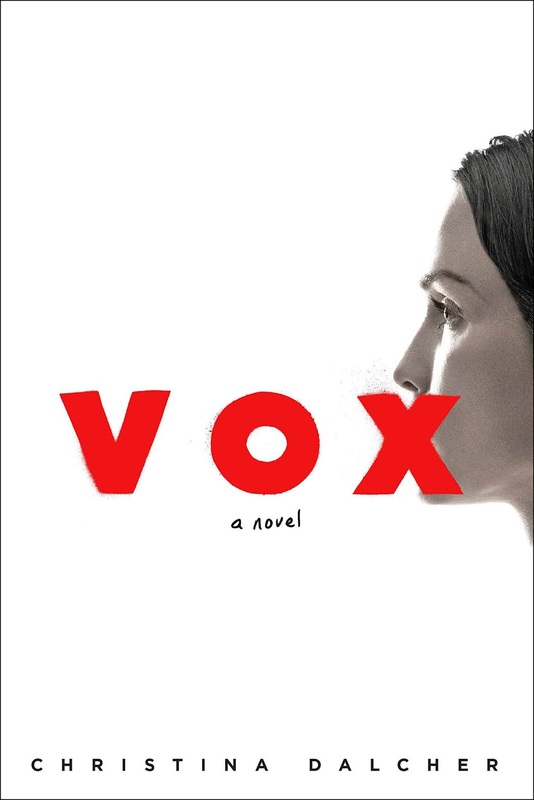 "Set in an America where half the population has been silenced, VOX is the harrowing, unforgettable story of what one woman will do to protect herself and her daughter. On the day the government decrees that women are no longer allowed to speak more than 100 words daily, Dr. Jean McClellan is in denial—this can't happen here. Not in America. Not to her. For herself, her daughter, and every woman silenced, Jean will reclaim her voice." Another favorite choice of books for me is book and movie tie-ins. I think a lot of people watched the Netflix exclusive "Bird Box" when it was released in November 2018. My husband and I were watching it too (although I don't like scary movies, so I watched a lot of it while peeking out from behind my hands!). When I found out it was based on a book by a local Michigan author, it went on my to-be-read list. I borrowed it for my Kindle ASAP. There were a lot of differences between the book and movie on this one. While the general premise about the monsters was the same, a lot of the different incidents varied. These differences didn't really make the book or movie any better than the other. I enjoyed the book and the movie. I'd give the book 4 out of 5 stars (I also love reading stuff that mentions places local to me!). "Something is out there, something terrifying that must not be seen. One glimpse of it, and a person is driven to deadly violence. No one knows what it is or where it came from. Five years after it began, a handful of scattered survivors remains, including Malorie and her two young children. Living in an abandoned house near the river, she has dreamed of fleeing to a place where they might be safe. Now that the boy and girl are four, it's time to go, but the journey ahead will be terrifying: twenty miles downriver in a rowboat—blindfolded—with nothing to rely on but her wits and the children's trained ears. One wrong choice and they will die. Something is following them all the while, but is it man, animal, or monster? 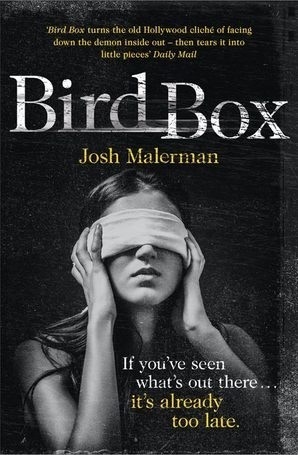 Interweaving past and present, Bird Box is a snapshot of a world unraveled that will have you racing to the final page." I have to say I really like February and March having the same dates on the same days. 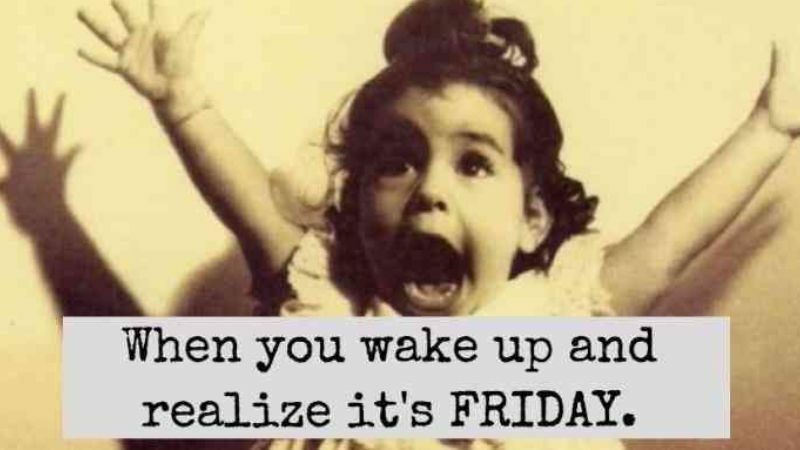 On Friday, February 8, I wrote '10 Random Things for a Friday.' And here we are on Friday, March 8, writing '10 Random Things for a Friday.' Sometimes I'm easily amused. We have had so much going on here lately! I feel like things are falling through the cracks and it's making me nervous. I had been working an extra shift at work since the beginning of the school year. My extra shift ended last week! The woman I'd been covering for most recently (since mid-October) came back to work on Monday. While I'll miss my co-worker of so long and all the sweet kids I met at that school, I'm glad to have some time back. Last weekend, seven-year-old Jack broke his leg skiing. It's pretty much shaped my whole week, and will probably dictate the next month or so too. He broke his tibia, and currently has a cast from his toes to his mid-thigh (which on a small person, is essentially his whole leg). He's doing pretty well on crutches, and there's a wheelchair at school that he can use for longer trips so he doesn't get too tired. Except when he gets too tired anyway and wants to come home. Maggie and I have a big baton competition tomorrow. She's the only one competing, but I'll be in it for the whole thing too. LOL She got a gorgeous new dress, but it's way too long, so tonight I need to learn how to best use hem tape. Wish me luck! I still haven't made an appointment to have our taxes done. It just sounds...hard. I'll eventually schedule with the same place we always do, and I don't even have to do extra expense paperwork this year, but I'm dreading waking up early, getting Jack and his cast in and out of the car, talking through the appointment and what paperwork we forgot, waiting for results, and then finding out if our results are as disappointing as I've heard from others. see, even that spectacularly long sentence is exhausting! My reading has also slowed way down with all this extra stress. I'm admittedly in the middle (almost) of a 500+ page book. It's good, but not action-packed. Must. Keep. Going. Hopefully this week will be a bit more predictable, calm, and pleasant. I'm so happy and relieved that we're all sleeping better again (the pain from the fresh break disrupted a few nights). This coming week I'm looking forward to payday, and a weekend that isn't planned out yet! What are you looking foward to?